If you are 6 weeks pregnant, there are several signs that you can expect. The 6 week ultrasound is also special because you are right in the middle of the first trimester and well into your pregnancy. Along with the 6 weeks pregnant symptoms, you should also be careful as the baby is susceptible to various problems and you have to be careful during this period. Some of the major developments taking place in week 6 of your pregnancy are the nose, ears, and mouth of your baby. These three facial features begin taking shape in six weeks pregnancy. However, if you have a look into your uterus, all you will be able to see is an over-sized head with a few dark spots in the places where your baby’s eyes and nostrils will be formed. The ears are mere depressions on either side of the head, while his hands and legs look like small buds. During this week, your baby’s heart is steadily pounding somewhere between 100 to 160 times in a minute, which is twice the number of your heart. Also, the blood flow has begun its course all through his body in this week. 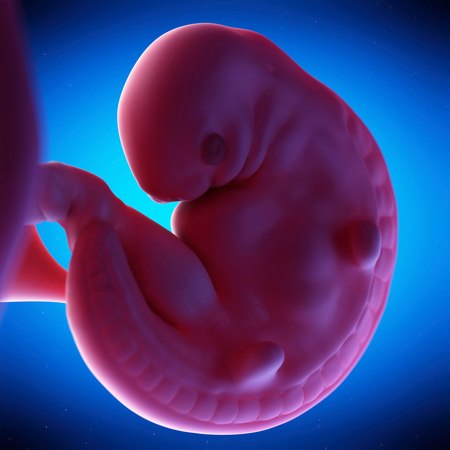 At 6 weeks pregnancy, your baby’s intestines are now starting to develop, while the tissue that will form your baby’s lungs now slowly begin to appear. Also, his pituitary gland is on its way to formation along with the rest of his vital parts such as brain, bones and muscles. 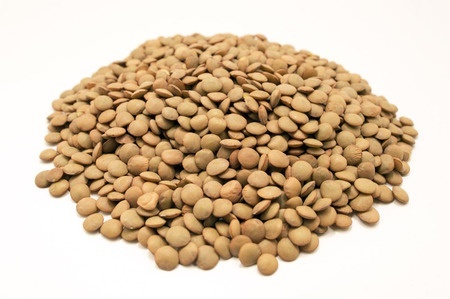 At 6 weeks, your baby is the size of a lentil, and just about a quarter of an inch in length. 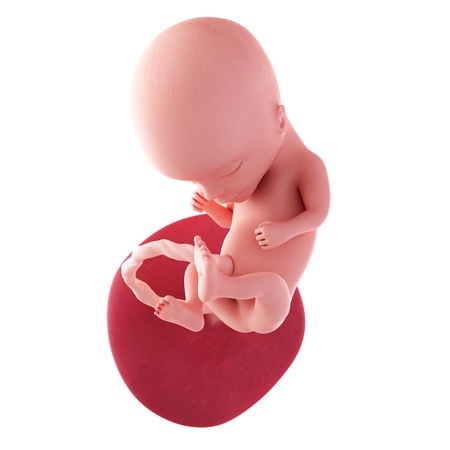 There are several changes in the body of the mother in week 6 pregnancy, but there are still more changes in the body of the child in this week. When you are going through pregnancy 6 weeks, the child will grow bigger. 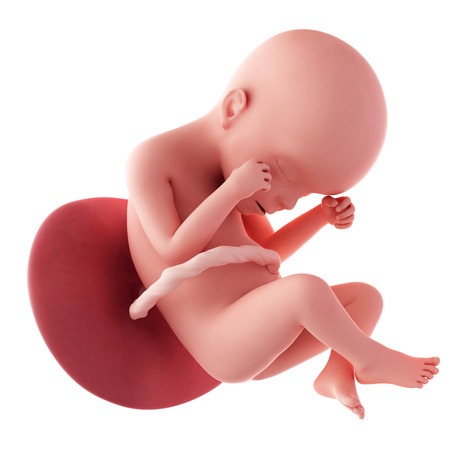 The size of baby at 6 weeks is about 5 mm and there will be rapid development of the internal organs. The limbs of the baby will also start developing in pregnancy 6 weeks. The child will also have development of the nervous system, brain development and various other growths will occur. It is interesting to note that some of these changes are visible in the ultrasound at 6 weeks. There are several body changes in week 6 pregnancy in the mother too. If you are pregnant, your breasts will start becoming fuller. You will increase in weight because of the additional weight put on by this week. Your uterus that started becoming bigger in the 5th week of pregnancy will continue to grow bigger and this will cause you to urinate more frequently. The changes in the HCG levels and levels of other hormones in the body will continue in this week too. These hormonal changes can cause some additional symptoms too. The first aspect of the pregnancy symptoms at 6 weeks is that you will have a 6 weeks pregnant belly. This is more visible than the previous weeks and most people will know that you are pregnant when they look at you. Some experts will even identify pregnancy week 6 from your belly size. Though some women feel that there are 6 weeks pregnant no symptoms additional to the ones that existed in the previous week, experts feel that during pregnancy at 6 weeks, the symptoms that you had in the previous weeks will be exacerbated. One important additional symptom that you will find in week 6 of pregnancy is that you will suffer from lack of sleep. 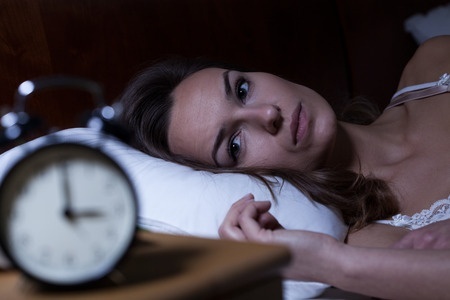 Insomnia as it is known, will become a part of your pregnancy. This is mainly because of the various hormonal changes in your body. There are some risks that you can expect during 6 week pregnancy. It does not matter whether you are 6 weeks 3 days pregnant or whether you are 6 weeks 4 days pregnant, there are some 6 week pregnancy symptoms that you should identify as risks to the pregnancy itself. There could be bleeding that could be abnormal and it could occur because of an abortion. There are times when the 6 weeks ultrasound may show that there is no heartbeat in the baby. This may also mean that there has been fetal death. All these conditions are not common, but can happen. Though there could be serious complications at times, most of it is caused due to an infection or fever in the mother. These need to be treated quickly to prevent the baby being affected. If you see 6 week ultrasound pictures, you will note that the baby is well defined and there is development from its previous pictures. The limbs are starting to develop and you will see small vestiges, which would become limbs. The heart beat in the 6 weeks ultrasound is well defined and you can see it as mild movement. There will even be difference between 6 weeks 2 days pregnant and 6 weeks 5 days pregnant ultrasound because such is the rapid growth of the baby. You may find in the ultrasound 6 weeks that the heart beat of the baby is much faster than a normal human being, but this is normal in the fetus. Go for health tests as prescribed by your doctor. These will tell you more about your changing hormones, diabetes, thyroid etc.